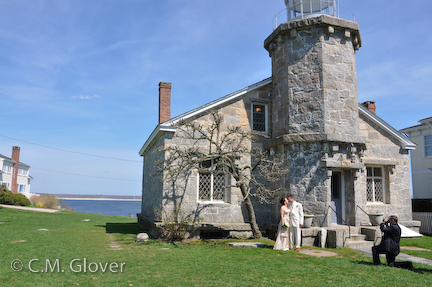 The Stonington Light, beacon to vessels approaching the harbor until 1889, has been a museum dedicated to Stonington's history since 1927. The lives of the town's farmers, merchants, fishermen, ship captains, sealers, patriots, explorers, artists, and children are illustrated through an outstanding local history collection and changing exhibits. 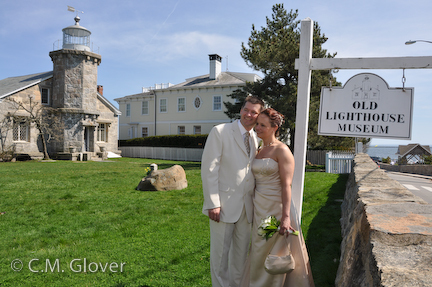 The Old Lighthouse Museum is one of the most popular landmarks of the coastal New England. The perennial gardens overlooking the sea are maintained by the Stonington Garden Club. Exclusive use of the grounds east of the building right down to the sea offering sweeping panoramic views of Little Narragansett Bay. An outdoor water faucet and electrical outlet are available. The cost of rental is determined by many factors including size of event, length of time required, and amount of set-up involved. Please see downloadable forms below. All events will require a family membership. Please download forms for rental of the Lighthouse here. Please download FAQ form here.